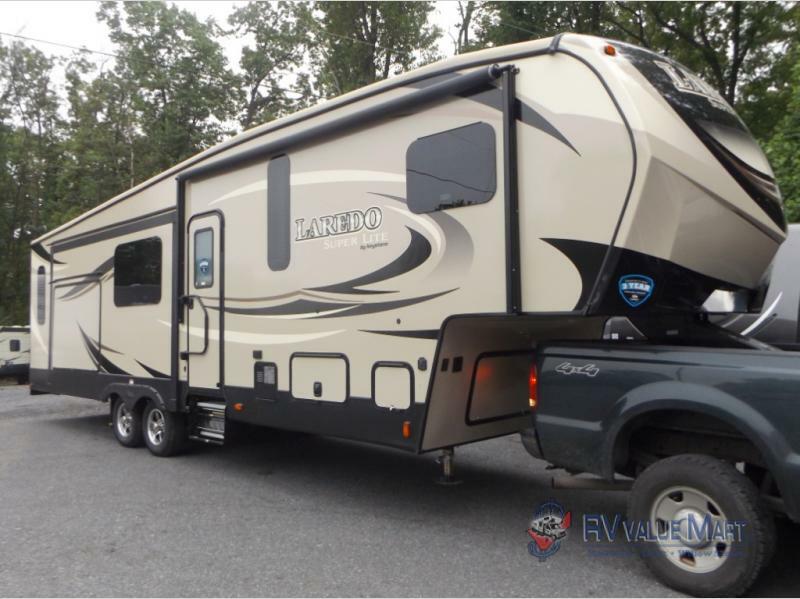 Upgrade your next vacation with one of the outstanding Keystone Laredo Super Lite fifth wheels for sale at RV Value Mart! You won’t regret indulging in the open living spaces, private master suite, and outdoor amenities. 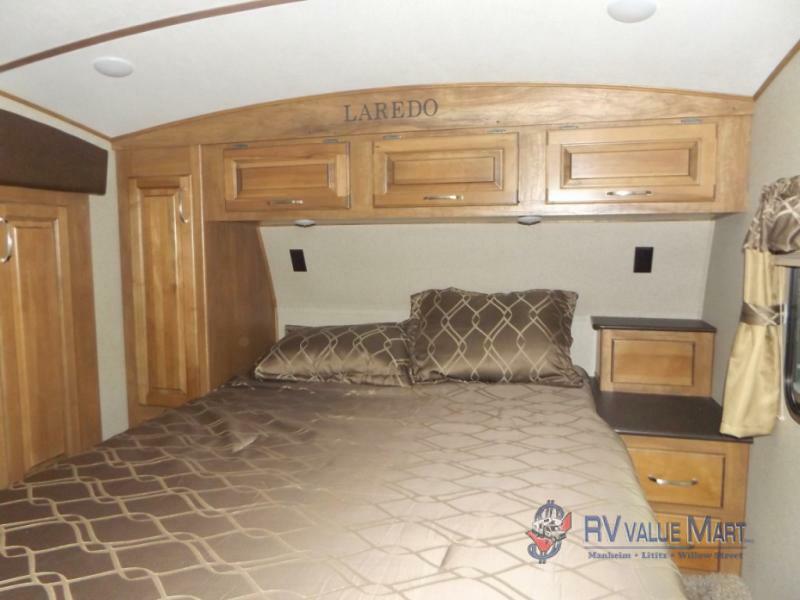 Check out what more there is to love in this Keystone Laredo Super Lite fifth wheel review. 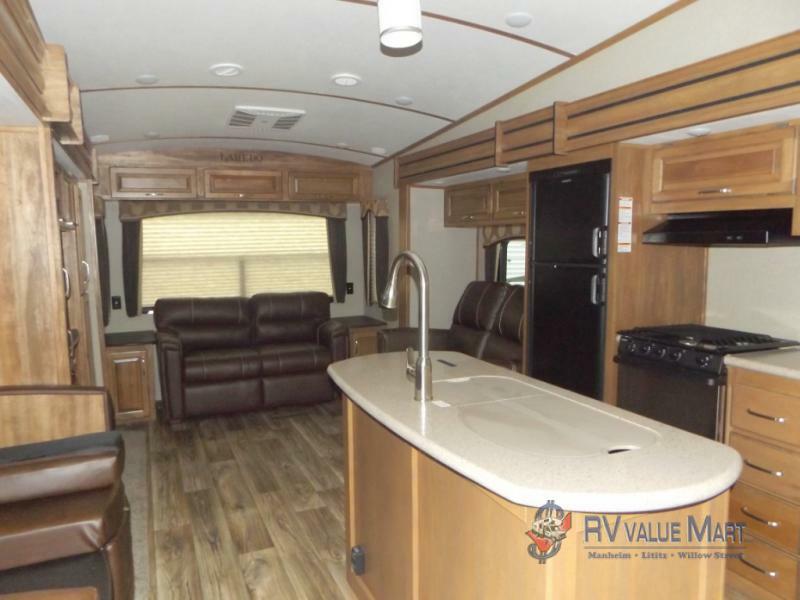 Find more Keystone Laredo fifth wheels at RV Value Mart! Prepare for an interior living space that will give you the feel of home! The Keystone Laredo features dual opposing slides to maximize your kitchen and living areas. The kitchen features an island with a double sink, plenty of counter space, and beautiful cabinetry throughout. In the living space, you can relax in the theater seats while you enjoy the fire, or catch your favorite show on the 39″ TV. The large kitchen island gives you plenty of counter space! If you travel upstairs, you’ll find the beautiful, private master suite with a 60″ x 80″ innerspring mattress, large wardrobe, reading lights, and a TV hook-up. You can sleep easy at night knowing that the Keystone Laredo comes equipped with extra security measures including tinted, safety glass windows, a carbon monoxide detector, a smoke detector, gas leak detector, and fire extinguisher. Whether you are an early bird or a night owl, you’ll love spending your time out under the electric awning that comes equipped with LED lights. You can use the outdoor kitchen and entertainment space to spend every possible moment of your vacation out in the beautiful weather! Now, you can store your favorite drinks in the refrigerator, keeps snacks close-by in the pantry, and catch the big game on the outdoor TV. This outdoor kitchen comes fully equipped, so you’ll never miss a moment. 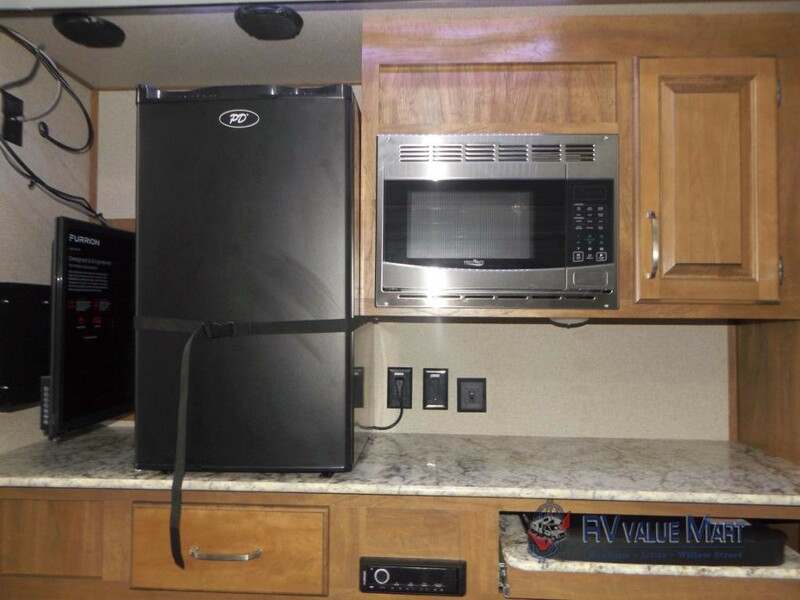 What are you waiting for, it’s time to treat yourself to an RV that feels like home. Contact us and take home a Keystone Laredo Super Lite fifth wheel today, it will be an upgrade you won’t regret!